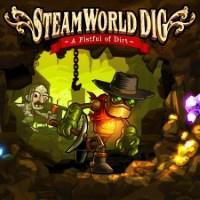 A 2D mining and platform game with Metroidvania elements and a lightweight plot. You dig up ores to sell, find and buy upgrades and new abilities, and periodically have platform challenges and a boss fight or two. There’s maybe a smidgen too much resource management, as your flashlight has a limited timer that resets when you exit the mine, and buying ladders or teleporters back to the surface uses the same finite resources used for upgrades, though there’s enough that it’s not really a problem. The game is superbly paced - new abilities, challenges, and environments come up just when you’ve mastered the old, such that nothing wears out its welcome.